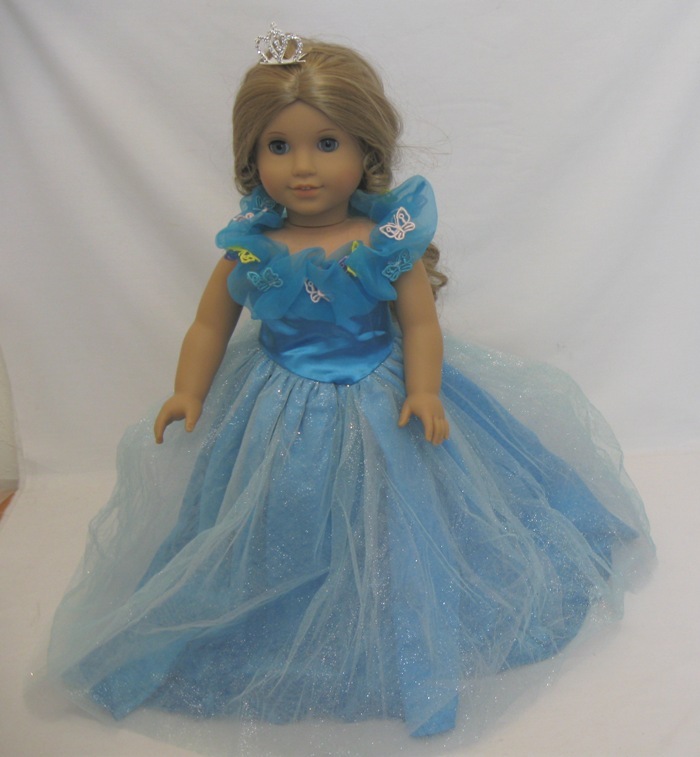 Beautiful fairy godmother dress. 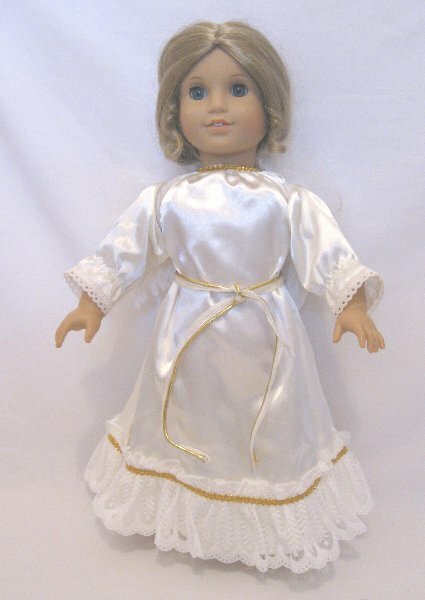 What little girl would not be delighted with this dress? Comes with wand. New Cinderella shoes. 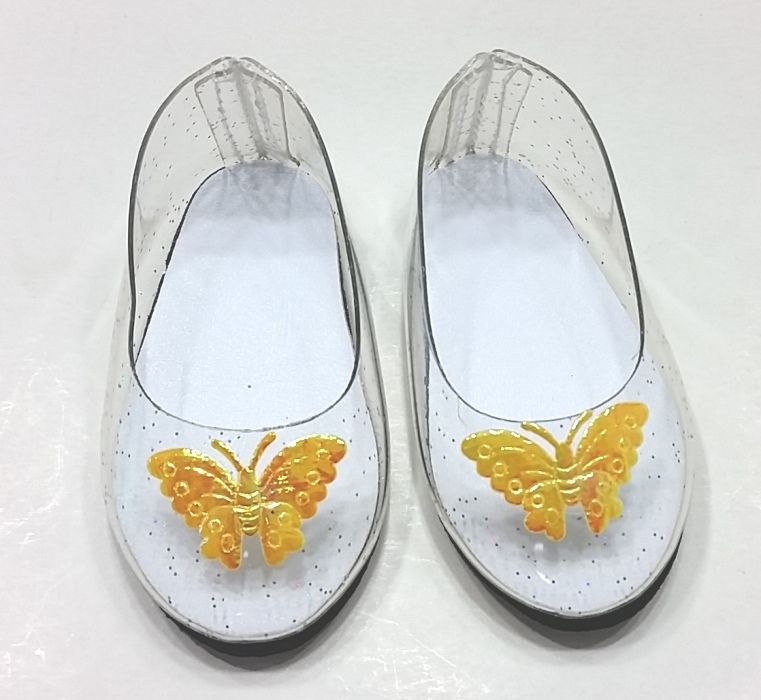 See through shoes, with glitter, and a tiny butterfly on the toes. Any little girl will be delighted with these shoes. 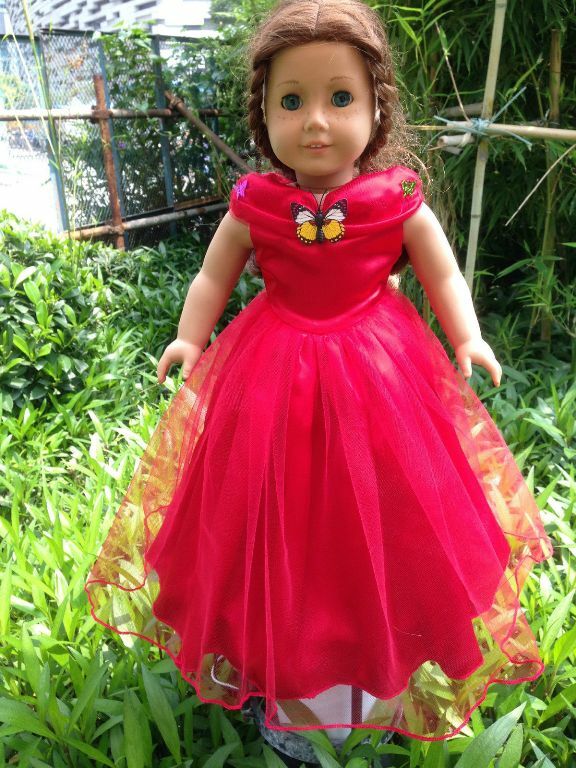 Red Cinderella dress with butterflies on the yoke. Red satin with a tulle overlay on the skirt. and yoke. Satin top. 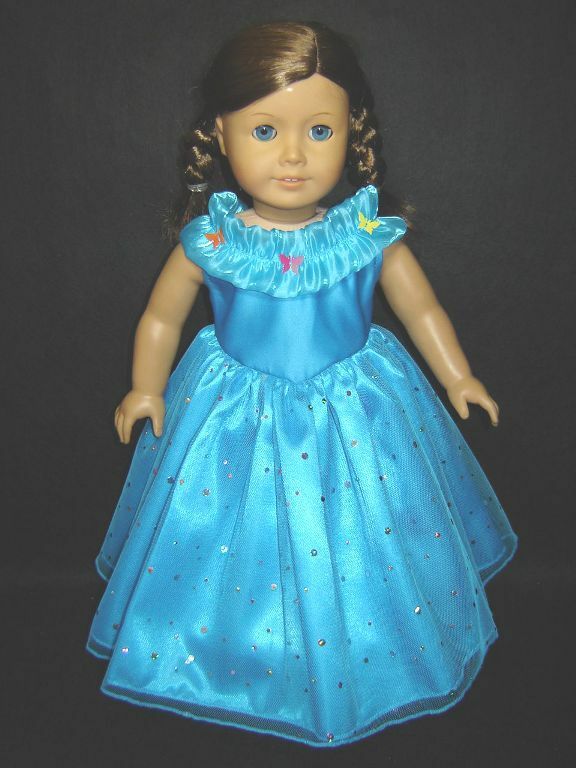 Turquoise Cinderella dress wit a net overlay and tiny butterflies on the yoke.